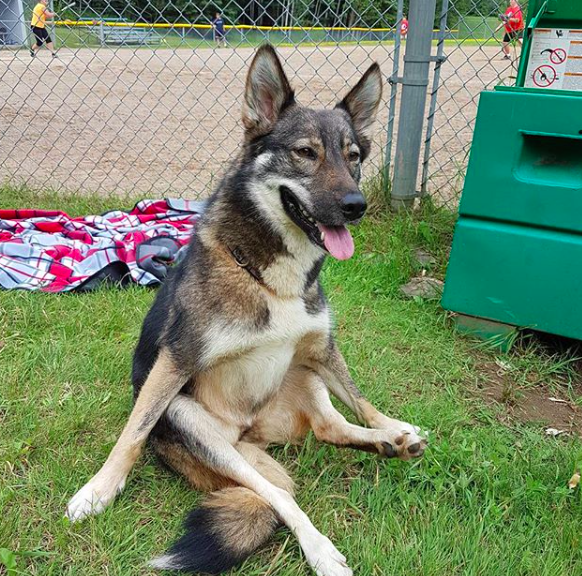 This adorable dog named Gem hurt her spine when she was just a puppy. Vets never thought she’d walk again, but with a lot of physical therapy, she was quickly proving them wrong. To help her get around easier, her mom taught her how to use a cart. She has adapted well to the wheelchair and not only can she walk in it, but she can run like the wind! 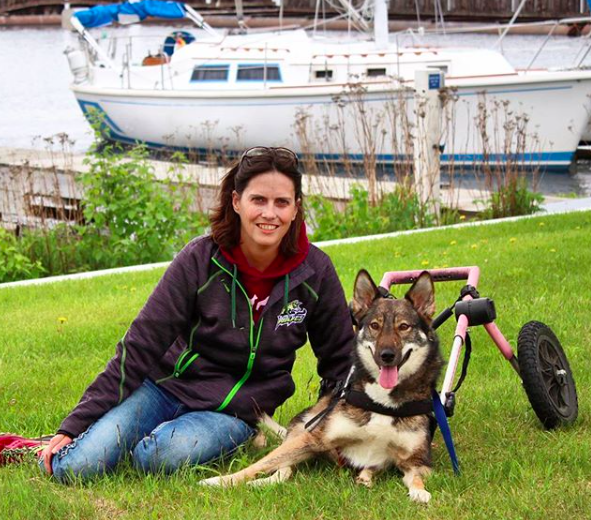 The wheelchair for her means freedom, and she doesn’t know she’s different than other dogs. 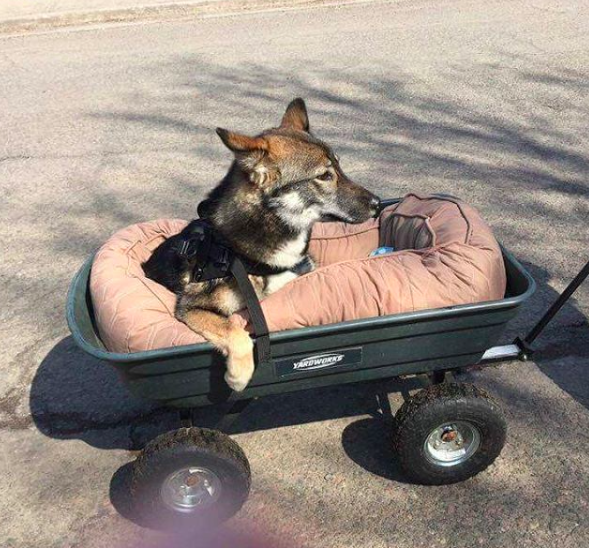 Being in a wheelchair has not stopped her from being a normal dog. She even goes for 7k hikes without a problem! She is always wagging her tail and is always so happy despite her disability. Now she’s using that bright spirit of hers to help other dogs who need it. 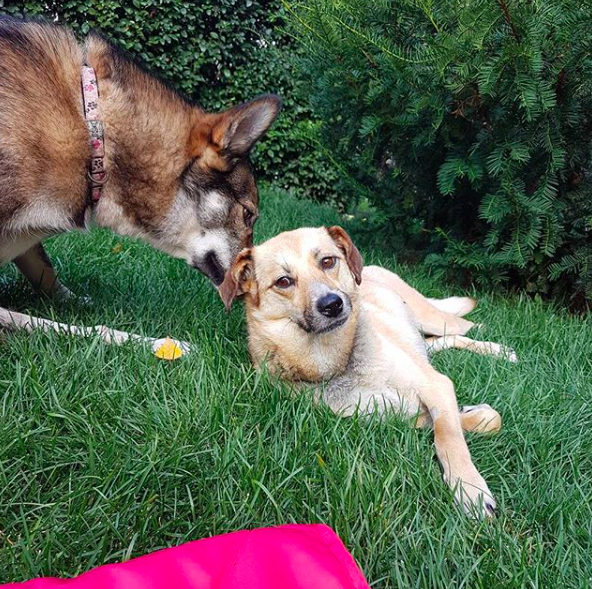 Her mom rescues and fosters dogs and Gem does her best to help in every way possible. Her mom rescued a dog, named Juniper, who was very sick and had a bad head injury. She lived too far from a vet at the time, so rescuers flew her to one. They didn’t think she’d even survive long enough to make the flight, but they remained hopeful. On top of that, she was also pregnant and due to give birth. They did an emergency c-section, and thankfully the puppies lived. Juniper survived as well, but unfortunately wound up being deaf and blind in one eye. But Gem was always by her side, making sure she felt happy and loved. “Sometimes I felt like Gem was telling her, ‘It’s OK, I’ve been there, you’ll get better!’” said Gem’s mom. A few weeks later, with Gem’s help, Juniper was a whole new dog! When she first arrived, she couldn’t even lift her head. But now she was able to run around the backyard! 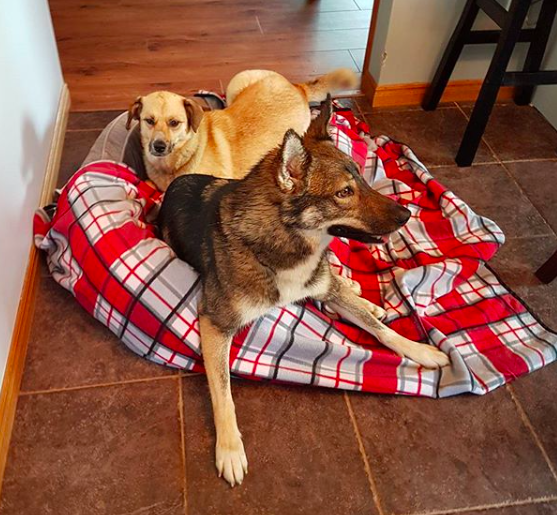 Gem’s mom still rescues and fosters other dogs. Gem continues to help these pups! Follow their adventures on their Instagram page.